Are you looking for a Newport Divorce Attorney? 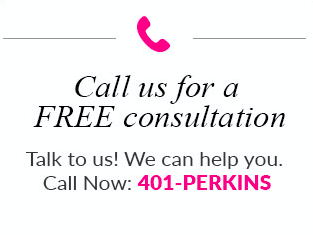 Attorney Susan T. Perkins can help you with all your family court needs. With almost twenty years of experience, she will compassionately ensure your interests get protected. A divorce settlement decides many important aspects of your new life, so it is important to get a fair agreement. The results of a divorce case can dictate your financial stability for the next few years. It is crucial that you have your rights protected. All marital property must get divided among husband and wife. A Newport Divorce Attorney will ensure the settlement is fair. If you and your spouse can agree to terms, a Marital Settlement Agreement (MSA) will get drafted. It dictates the terms of division. If you are unable to come to an agreement, the court will make a decision for you. Legal Custody: This type of custody dictates who makes important decisions concerning your child. The courts can award joint or sole legal custody. Physical Custody: This type of custody decides where the child will live. The courts can award sole or shared physical custody. If you and your spouse are not able to agree on terms, the judge will dictate a plan based on the best interest of the child. Your Newport Divorce Attorney will make sure you get a fair amount of time with your child. Rhode Island wants to make the divorce transition as easy as possible for your kids. Child support is designed to provide children with the standard of living that would be provided if their parents were still together. There are guidelines in determining the amount, but nothing is set in stone. An experienced Newport Divorce Attorney will evaluate appropriate child support payments for your case. To find out how these rules apply to your case, contact Newport Divorce Attorney Susan T. Perkins. It is important to hire a skilled Newport Divorce Attorney so you can end your marriage with the financial stability necessary to rebuild your life. Call Susan today at 401-226-0126 to schedule a consultation.